As shown by Asharq Al-Awsat in a series of reports, exclusive interviews, and U.S. federal court and government documents, an elaborate case brought to trial by September 11 victims and insurance companies against the Islamic Republic of Iran has concluded in a default judgment in favor of the plaintiffs: Judge George Daniels of New York’s Southern District has found Iran to have provided material support to Al-Qaeda prior to and after the September 11 attacks. In his detailed ruling, he validated witness testimony that the Iranian government and Hezbollah had provided training, funding, and logistical support to Al-Qaeda that was essential in enabling the attacks on the World Trade Center, Pentagon, and Washington DC (Shanksville, Pennsylvania) — as well as other attacks, including the bombing of the U.S. Embassies in Kenya and Tanzania in 1998, the suicide boat bombing of the U.S.S. Cole near Yemen in 2000, and the Khobar Towers bombing in Riyadh. In addition to his overall finding against the Tehran regime and its Hezbollah proxy, Judge Daniels also held that Supreme Leader Ayatollah Khamenei himself — among other senior Iranian and Hezbollah officials — bore direct responsibility for the September 11 operation. These stunning determinations are based on court proceedings dating back over a decade, which in turn relied on evidence that had been accessed by researchers as early as the aftermath of the September 11, 2001 tragedy. As such, the trial raises even more questions than it answers: If there has long been a body of information credible enough to persuade a federal judge to place responsibility for the most devastating terror attack in American history on the Iranian government, then what has been the response of the U.S. government, intelligence community, and successive White Houses to the same set of facts? What is the relationship between these findings on the one hand, and the set of accommodationist policies toward Iran that culminated in the establishment of the Iranian nuclear deal last October on the other? Will the staggering sums demanded by the judge actually be paid by the Iranian government? And between the Obama White House’s conciliatory policies toward Iran on the one hand and a federal judge’s uncompromising stance on the other, what future directions in Iran policy may be expected from Washington? To answer these questions, Asharq Al-Awsat conducted an extensive investigation, including interviews with senior White House, Defense Department, and State Department officials; lawyers for the September 11 victims; and some of the most trusted experts on Iran policy in Washington. What, to begin with, was the basis for an American court to issue rulings against a foreign government and a foreign head of state? Historically, foreign governments have been largely protected from civil action in American courts by the 1976 “Foreign Sovereign Immunities Act” (FSIA). In 1996, Congress passed the “State Sponsored Terrorism Exception,” which allowed for civil suits against terrorist states by their U.S. victims. This exception enabled a number of lawsuits to proceed successfully, but it also had serious shortcomings, which came to a head in 2007: That September, a federal judge determined that the Islamic Republic of Iran and its Ministry of Information and Security should pay $2.6 billion to family members of the victims of the 1983 Beirut Marine barracks bombing that killed 241 American military personnel. But a variety of legal obstacles made it impossible for the victims to attach and execute against Iranian assets in the U.S. In response, in 2008, Congress passed the National Defense Authorization Act for Fiscal Year 2008, which greatly expanded the legal tools which plaintiffs could use to recover damages from Iran or any other state sponsor of terrorism. This is the context in which New York judge George Daniels made his initial ruling against Iran — in December 2011, ten years after the September 11 tragedy — in the landmark case “Havlish, et al. v. Bin Laden et al.” That case, based on the deaths of 45 of the September 11 victims, ended in a $7 billion default judgment against Iran. The more expansive, March 2016 “Ashton” ruling was the result of the extension of the same factual determinations about Iran to 850 more September 11 victims and the claims of two insurance companies. These, in turn, are but two cases among several dozen that have now been brought to trial in American courts by victims of terrorism against the Iranian government. In all of them, Iran refuses to recognize the legitimacy of the proceedings. This chain of legal actions and outcomes stands in contrast to the Saudi record in American courts. As readers will recall, the post-September 11 period was also marked by intense American criticism of Saudi Arabia over an attack in which 15 of the 19 hijackers were Saudi nationals, along with Bin Laden himself. Eventually, a few Saudi intellectuals themselves entered the American public discussion to voice outrage at the jihadist strain in their society, calling for reforms in religious education to address the problem. But on the issue of alleged Saudi state participation in the attacks, no American court ruling was ever made against the Saudi government itself: The United States had never designated the Kingdom of Saudi Arabia a “State Sponsor of Terrorism” — meaning that neither the “State Sponsored Terrorism Exception” nor the “National Defense Authorization Act” apply to it. Moreover, by contrast to the Iranian government, which refused to recognize the legitimacy of the American proceedings, Saudi Arabia opted to robustly participate in any lawsuit entered against it in an American court: Its lawyers demanded the same application of the Foreign Sovereign Immunities Act that would be applied to any other nation which the U.S. State Department does not regard as a sponsor of terrorism. Over the 15 years that have passed since September 11, all judges have abided by this principle. Iranian culpability in the 9-11 attacks was argued before the Daniels court largely on the basis of ten individuals who were accepted by the judge as “expert witnesses.” Three were former staff members of the “National Commission on Terrorist Attacks Upon the United States” (also known as the “9-11 Commission”), an independent, bipartisan commission created by congressional legislation and the signature of President George W. Bush in late 2002 to prepare a full and complete account of the circumstances surrounding the September 11, 2001 terrorist attacks. Two of the witnesses were former CIA case officers. Two others were investigative journalists who had spent years researching Iranian terrorist activities. Among the policy researchers who also testified as experts was the Washington Institute’s Patrick Clawson, who has testified in numerous other court cases involving Iranian terrorism. In addition to the Americans who testified, three Iranians, described as “defectors who had been operatives of the Iranian intelligence services and IRGC,” also presented affidavits. Though their testimony was entered under seal and is therefore inaccessible, it was possible to identify one of the witnesses as Abolghasem Mesbahi. Judge Daniels accepted the attorneys’ representation of Mesbahi as a former Iranian intelligence operative who had testified credibly in other prosecutions of Iranian and Hezbollah terrorists, including the case of the assassination of Iranian Kurdish dissidents at the Mykonos restaurant in Germany in 1992 and the Jewish community center bombing in Argentina in 1994. The massive amount of evidence assembled, Clawson suggests, could be broken into two categories. The first — which was provided largely by the Iran scholars and the 9-11 Commission members — documented base-line Iranian and Hezbollah support for Al-Qaeda, dating back to the 1990s and continuing for years after the September 2001 tragedy, which amounted to logistical assistance, training, facilitation of transit, and providing shelter to Al-Qaeda operatives. The second category of testimony — provided by the two former CIA operatives, the former Iranian officials who testified secretly, and the investigative journalists — alleged direct and explicit Iranian operational support for the September 11 attacks, as well as other attacks. “From a legal evidentiary standpoint,” explains Clawson, “it was not even necessary to prove the second category of claims in order to win the case.” Mere proof of providing any meaningful assistance to Al-Qaeda, with or without direct involvement in the September 11 attacks themselves, would have been sufficient to satisfy the definition of “material support” according to the legal statute. “There didn’t have to be a ‘smoking gun,’” Clawson added. But in the murky world beyond the courthouse, over three successive presidencies, the attempt to comprehensively assess and act on claims and evidence about Iran-Al-Qaeda cooperation has been hindered by shifting political priorities, analytical weaknesses in the intelligence community, interpersonal rivalries, and, ultimately, a single-minded decision by the Obama Administration to pursue a new course with the Tehran regime. Eight years before September 11 — after the first attack on the World Trade Center by Islamist activists in 1993 — one American researcher became convinced that it was not the mullahs of Tehran but rather Saddam Hussein and the Iraqi government who were pulling the strings behind Al-Qaeda. Laurie Mylroie had held teaching positions at Harvard University and the U.S. Naval War College before joining Bill Clinton’s 1992 presidential campaign as an advisor on Iraq. In a lengthy journal article which became the basis for her 2000 book, Study of Revenge: Saddam Hussein’s Unfinished War Against America, she argued in substance that Al-Qaeda and its affiliates were penetrated by Iraqi intelligence agents, and Saddam was trying to use Al-Qaeda to attack American targets in order to avenge American leadership in the 1990 Gulf War. Mylroie alleged that in addition to the 1993 World Trade Center plot, Saddam Hussein had also ordered the 1995 bombing of the Oklahoma City Federal Building by white supremacist Timothy McVeigh. Following the September 11, 2001 attacks, she robustly advocated for the view that Saddam was behind them as well. And yet Mylroie’s views were naturally of interest to elements in the George W. Bush Administration, following the September 11 tragedy, at a time when the possibility of deposing Saddam Hussein militarily was being seriously explored for other reasons. This mindset naturally engendered an appetite for evidence of Saddam’s support for all forms of international terrorism. As the Bush Administration set out to present its case for war to the American public, it did not allege an Iraqi role in September 11. “The issue wasn’t raised because it was never proved,” Dov Zakheim, former Comptroller of the Pentagon under George W. Bush, told Asharq Al-Awsat. “If anybody had tried to link Iraq to 9-11, I don’t think we would have had any support.” Instead, the Administration focused on advancing the view, shared at the time by the major European intelligence agencies, that Saddam Hussein maintained weapons of mass destruction. Nonetheless, in September 2003, a poll by the Washington Post showed that 7 in 10 Americans (69%) believed that Saddam Hussein was personally responsible for the September 11 attacks — a view that persisted for years thereafter. Some Administration officials at the time also conveyed their belief in the link privately to visiting international diplomats. In any case, Garfinkle, like David Schenker, recalls that champions of the Iraq war had initially hoped that challenging Iraq and Iran militarily were not mutually exclusive: “Some [in the Administration] reasoned that if Iraq could be flipped into a U.S. ally that subsequently housed U.S. bases, then pressure on Iran could later on be amped up …” As an illustration of the grounds for hope in this regard, two former Administration officials told Asharq Al-Awsat that the Syrian withdrawal from Lebanon would likely not have happened were it not for the presence of 150,000 American troops in the general vicinity. A former Bush Administration official told Asharq Al-Awsat that to his knowledge, no follow-up investigation of Iran-Al-Qaeda links based on the 9-11 Commission recommendations was ever conducted. Another official added his recollection that the CIA had examined allegations of direct Iranian involvement in 9-11 and determined that the evidence was inconclusive. But as the Iraq war grew bloodier and American soldiers came to be killed in increasing numbers by “Improvised Explosive Devices [IEDs],” it became clear to Administration officials that Iran was perfectly willing to cooperate with local elements in Iraq to target American servicemen and installations. President George W. Bush told a news conference in 2007: “What we do know is that the Quds Force was instrumental in providing these deadly IEDs to networks inside of Iraq. We know that. And we also know that the Quds Force is a part of the Iranian government. That’s a known.” Bush nonetheless added a cautionary note, which had the effect of tempering any suggestion that the United States would retaliate against the Iranian government: “What we don’t know is whether or not the head leaders of Iran ordered the Quds Force to do what they did,” he said. A forthcoming series in Asharq Al-Awsat will document how the U.S. Government gradually became aware that Iran was partnering with Al-Qaeda in Iraq in the perpetration of attacks on Iraqi, American, and other troops — as well as civilians — in the country. It will also show that a new crop of prosecutions are imminent arising from some of these killings. President Obama signaled a clear break with the Bush Administration, early on in his first term, in his “Nowruz message” to the “people and leaders of the Islamic Republic of Iran.” It is now well documented that the Administration, nearly since its beginnings, aggressively pursued an accommodation with the Iranian government, culminating in the establishment of the JCPOA last October. President Obama himself has explained his thinking that the nuclear deal is part of a security realignment in the Gulf littoral — and perhaps beyond — that would lead to a new “strategic equilibrium” between “Sunni powers” and Iran. Naturally, this is not a political environment in which the U.S. Government is interested in reexamining the possibility that Iran played a role in the September 11 attacks. And indeed, there are indications that at least some Iranian government functionaries do feel a psychological pressure as a result of the lawsuits. On more than one occasion, the subject of the lawsuits has been raised by members of the Iranian “Majlis.” Conveying the feeling that the U.S. legal system might begin to seize billions of dollars in Iranian assets in any number of parts of the world, they have criticized their own leadership for failing to block such measures. They have also called for Iranian trials against the U.S. Government — but of course, as Clawson explains, few are under the illusion that such trials would have international weight. 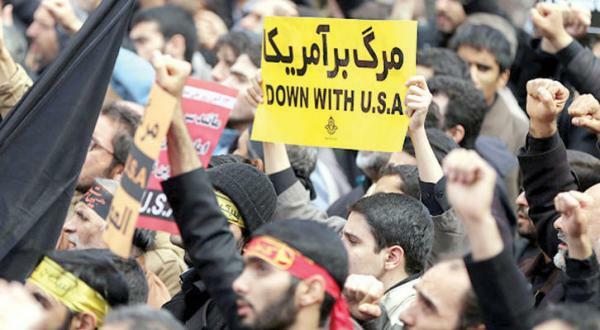 As of now, among the dockets of American terrorism cases against the Tehran regime, there are a total of roughly $49 billion in outstanding American judgments — with hundreds of billions more likely in coming months, according to the attorney James Kreindler. Victims have received, to date, several hundred million dollars which were released from a fund that had been controlled by the U.S. government, as well as some additional funds from Iran. A current case before the Supreme Court is likely to enable the confiscation of a 36-story Manhattan office tower — 650 Fifth Avenue — which is owned by the Government of Iran and likely worth more than $800 million. A lawsuit against the Central Bank of Iran appears promising which would lead to the recovery of an additional $1.8 billion. But of course, these settlements together are only the beginning of what will be required for the victims’ families to receive their due compensation. Ahead of the signing of the JCPOA, in August 2015, a group of American terrorism victims filed a lawsuit against Secretary of State John Kerry — also in the Southern District of New York — asking a federal judge to stop the U.S. government from releasing billions of dollars in Iranian assets as part of the Obama administration’s nuclear deal. (The approximately two dozen victims were Americans injured or killed in suicide bombings in and around Israel from 1995 to 2006, and their family members.) Thus far the case has not translated into action. Looking ahead to the potential of a future comprehensive settlement for all court cases, it appears that there are two potential paths toward a resolution: one conciliatory and collaborative, the other confrontational. On the other hand, Clawson notes that new legislative measures may lead to new varieties of further sanctions to be imposed on people who deal with Iran — not only American but also foreign companies. “Congress is interested in imposing sanctions for Iranian actions recently, that would be quite far-reaching restrictions on foreign companies’ access to US financial system if those countries have dealings with Iran. [But] this administration is not interested in that. Cruz’s comment clearly suggests that his faction of the Republican party remains willing to entertain the proposition that Iran would seek to inflict mass civilian casualties on the United States. Joseph Braude, a regular contributor to Asharq Alawsat, is Senior Fellow at the Middle East program at the Foreign Policy Research Institute.